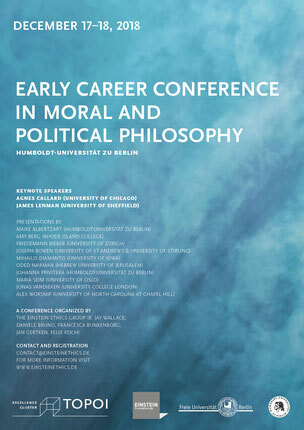 This conference will provide a forum for discussion of new work in moral philosophy, moral psychology, and social and political philosophy. Contexts of joint agency are naturally understood to be especially dense networks of mutual obligations, and they also seem to have significance in moral development. 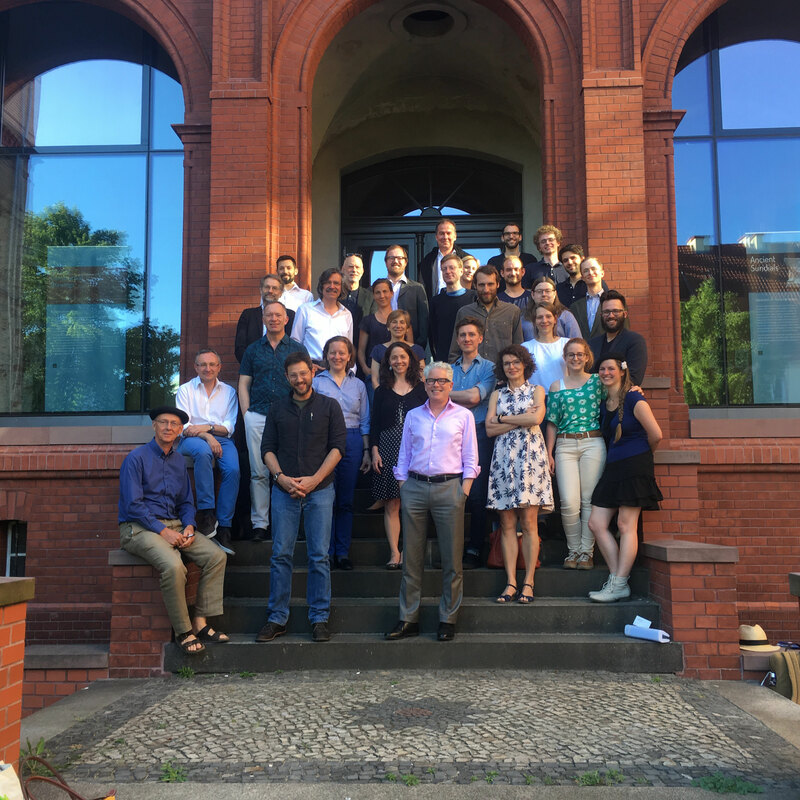 The workshop, organized by the Einstein Ethics Group at Humboldt University Berlin, will bring philosophers and developmental psychologists together for discussion of the links between shared agency and obligation. 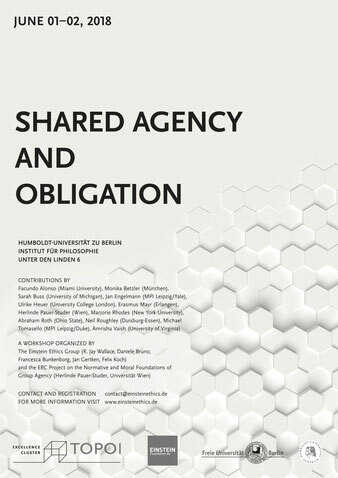 Questions to be discussed include the following: What is the nature of the obligations that are involved in shared agency? 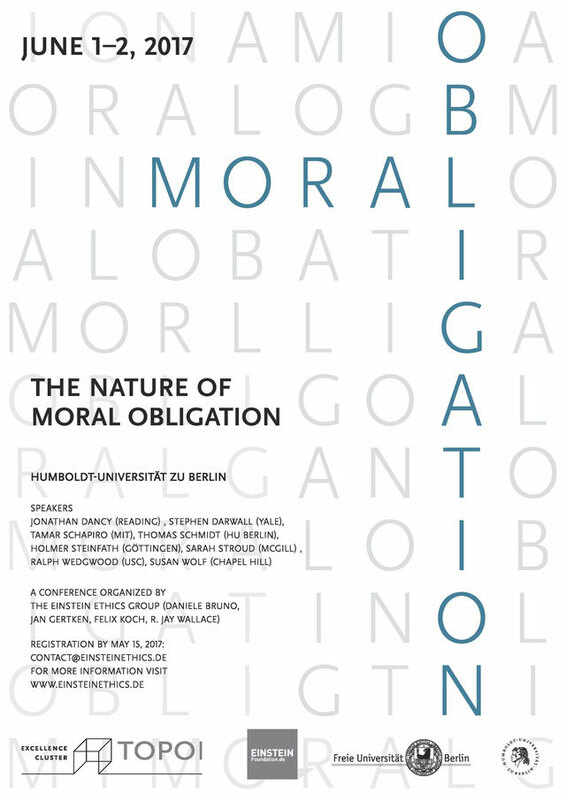 Are they moral obligations, or obligations of some other kind? How exactly does joint activity give rise to obligations that would not otherwise obtain? What is it about the normative considerations that regulate joint activity that gives them the character of obligations? 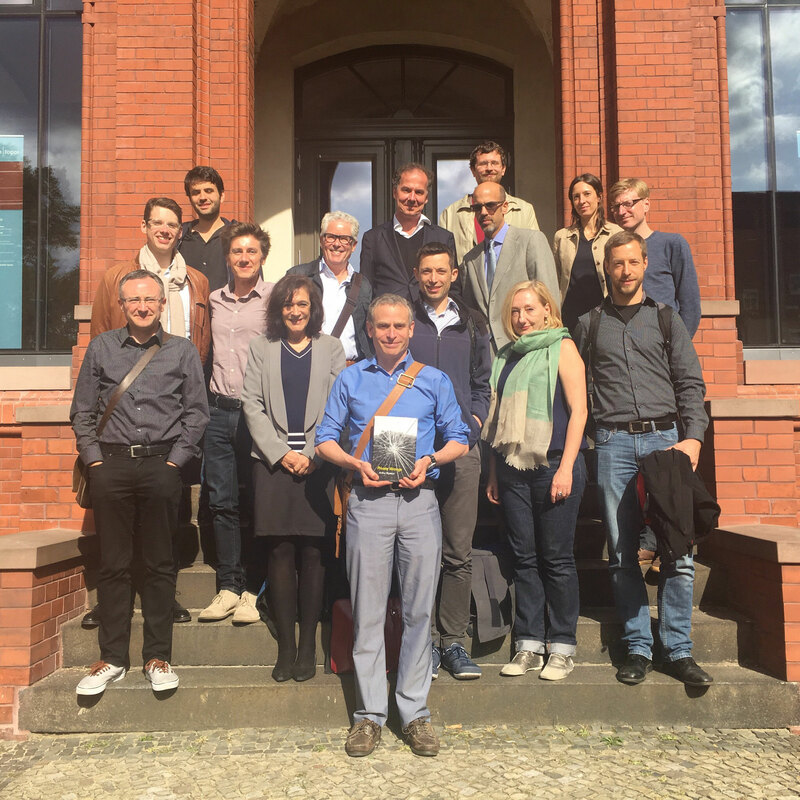 What exactly is the role of joint activity in moral development? Is it correct to think that young children are especially prone to criticize each other in moral terms in contexts in which they are doing something together? What might we learn from the role of shared agency in moral development about the nature and sources of moral obligation? 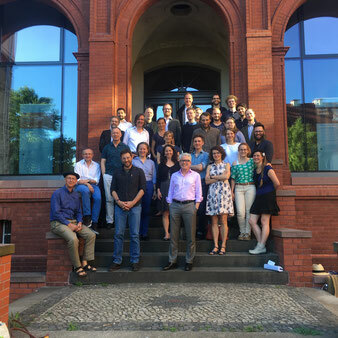 Invited participants include: Facundo Alonso (Miami University), Monika Betzler (LMU München), Sarah Buss (University of Michigan), Jan Engelmann (MPI Leipzig/Yale), Ulrike Heuer (University College London), Erasmus Mayr (Erlangen), Herlinde Pauer-Studer (Wien), Marjorie Rhodes (New York University), Abraham Roth (Ohio State), Neil Roughley (Duisburg-Essen), Michael Tomasello (MPI Leipzig/Duke), Amrisha Vaish (University of Virginia). 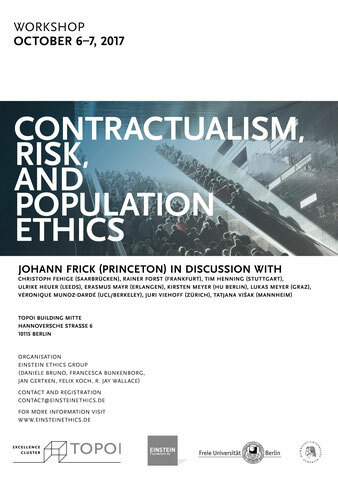 This workshop will address issues concerning population ethics and the bearing of risk on the moral permissibility of individual actions; a particular focus will be the resources and limits of contractualism as a framework for thinking about these questions. 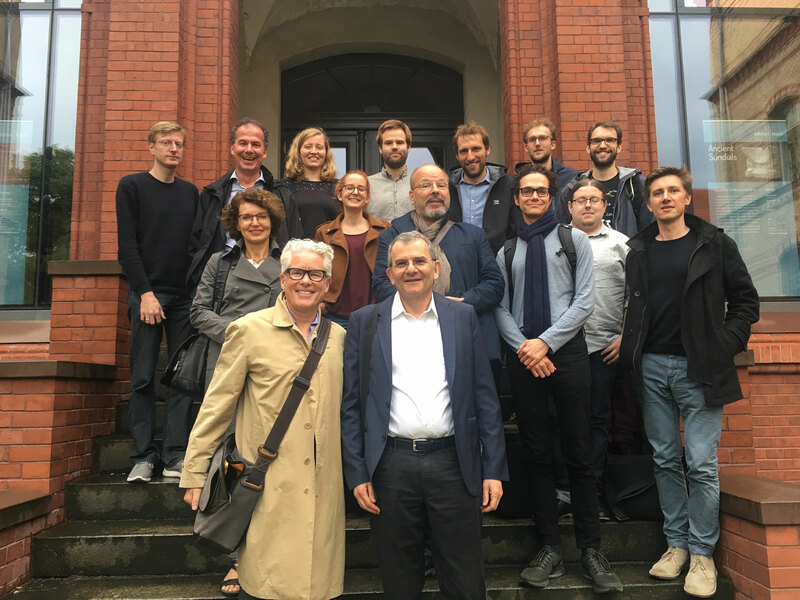 Discussions will take as their starting point some recent work on these topics by Johann Frick of Princeton University, who will be present at the workshop in Berlin. 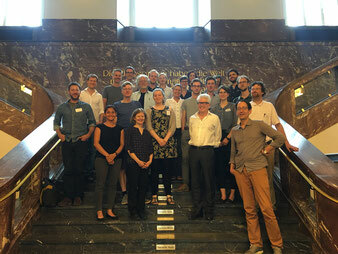 Other invited participants include Christoph Fehige (Saarbrücken), Rainer Forst (Frankfurt), Tim Henning (Stuttgart), Ulrike Heuer (Leeds), Erasmus Mayr (Erlangen), Kirsten Meyer (HU Berlin), Lukas Meyer (Graz), Véronique Munoz-Dardé (UCL/Berkeley), Juri Viehoff (Zürich), Tatjana Višak (Mannheim). 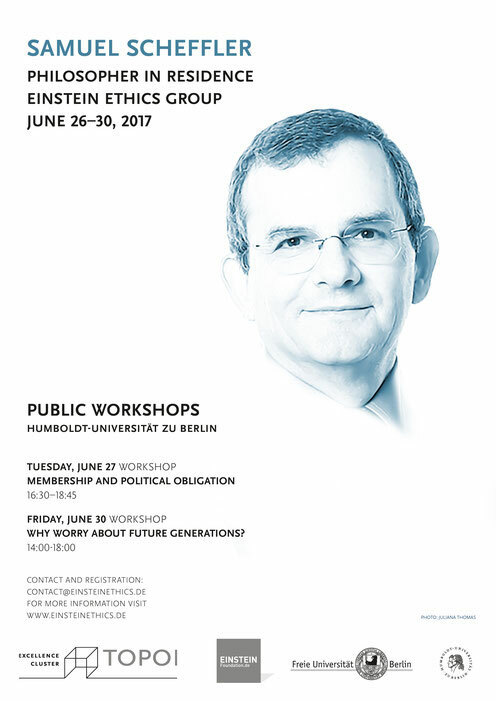 The Einstein Ethics Group will host a visit by Samuel Scheffler during the last week of June 2017. 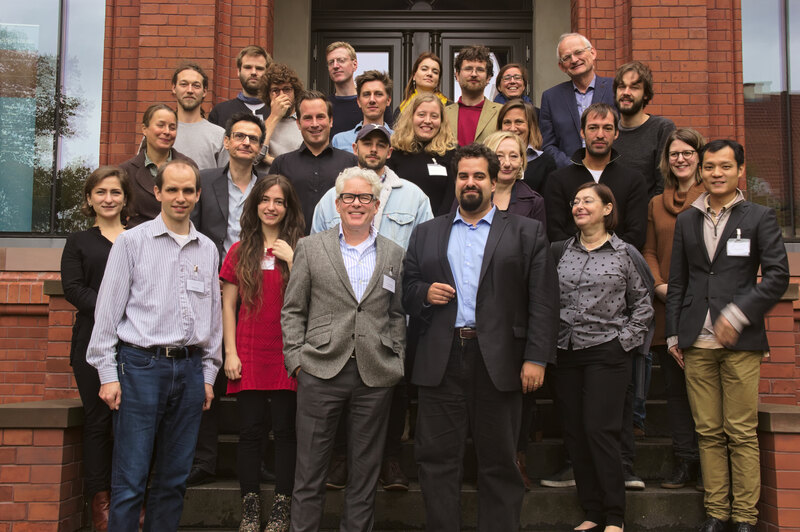 Scheffler is University Professor of Philosophy and Law at New York University; he is the author of numerous important and influential contributions in moral and political philosophy, including The Rejection of Consequentialism, Boundaries and Allegiances, and Death and the Afterlife. 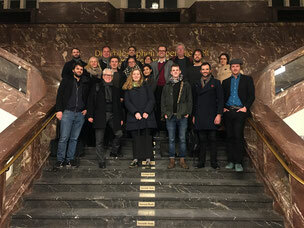 During his residency in Berlin, Scheffler will participate in two public workshops on his recent work, and be available for individual meetings with local philosophers. 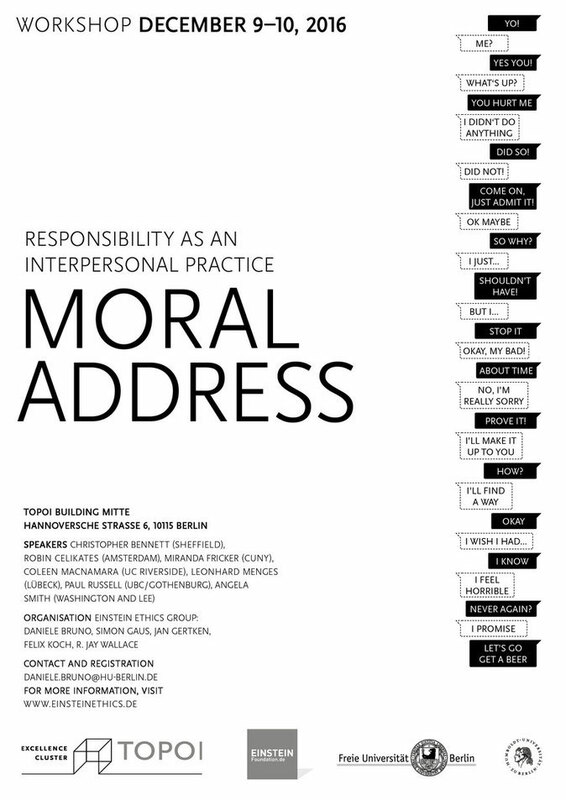 This workshop will address the nature and sources of moral obligation. G. E. M. Anscombe famously questioned the intelligibility of the notion of moral obligation in her paper "Modern Moral Philosophy". 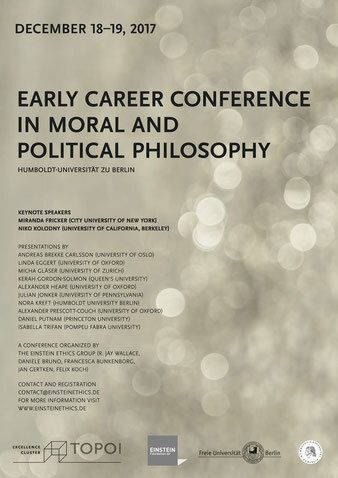 Some contemporaries are prepared to join her in doing moral philosophy without the notion of obligation (or at least without treating it as fundamental). But others have tried to resuscitate it, following several different approaches. 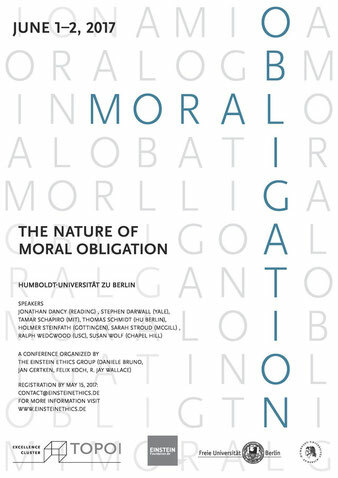 Obligations have been traced to social or divine commands, to the practices of moral address and blame, to the structure of practical identities, and to the (allegedly) relational character of basic moral duties. The workshop will explore these and other approaches in discussion with some of the leading contemporary theorists in this area. 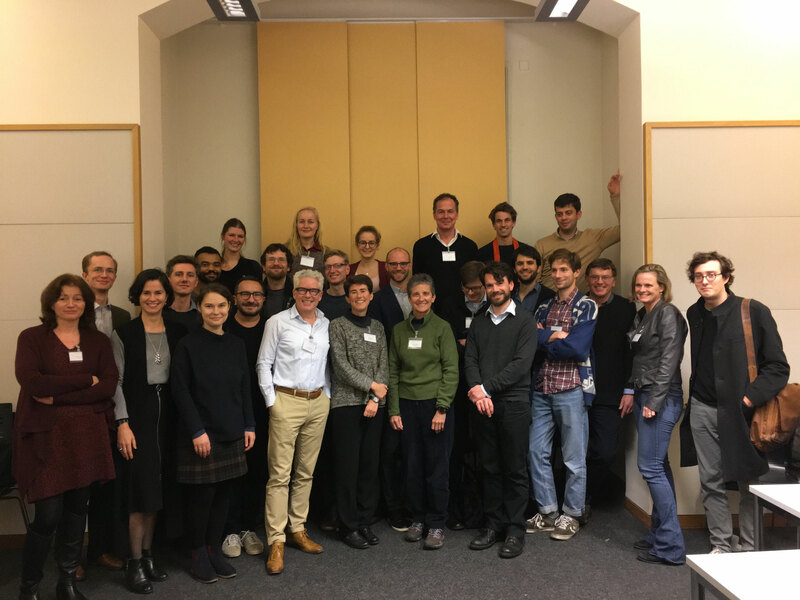 Jonathan Dancy (Texas/Reading), Stephen Darwall (Yale), Tamar Schapiro (MIT), Thomas Schmidt (HU Berlin), Holmer Steinfath (Göttingen), Sarah Stroud (McGill), Ralph Wedgwood (USC), Susan Wolf (UNC). 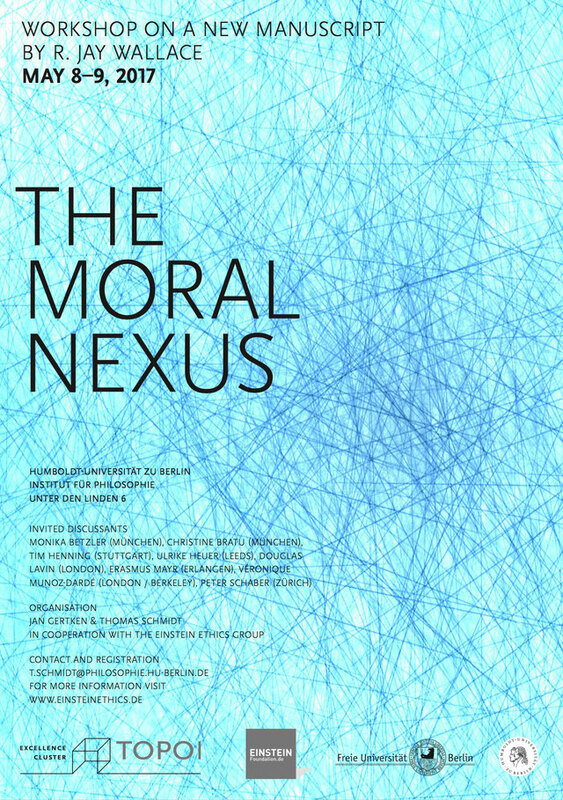 This workshop is devoted to critical discussion of themes from Jay Wallace's new book manuscript on "The Moral Nexus". 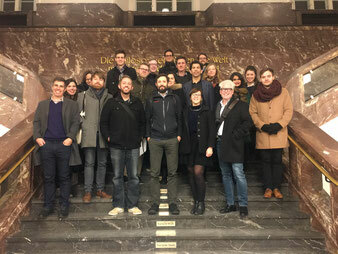 The manuscript develops a relational interpretation of morality according to which moral demands are owed to other individuals, who have claims against the agent to compliance with them. Interpersonal morality is, on this approach to it, the domain of what we owe to each other, just insofar as we are each persons with equal moral standing. 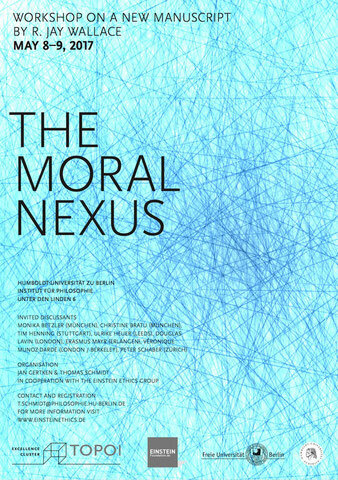 The manuscript argues for the advantages of this way of understanding the moral domain; explores some of the important theoretical and practical presuppositions of relational moral duties; and considers the normative implications of understanding morality in relational terms. 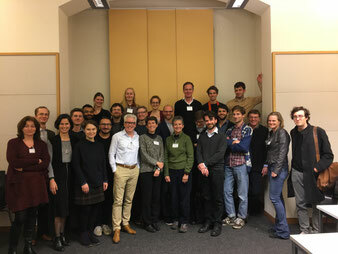 Invited participants include Monika Betzler (München), Christine Bratu (Berlin), Tim Henning (Stuttgart), Ulrike Heuer (Leeds), Doug Lavin (UCL), Erasmus Mayr (Erlangen), Véronique Munoz-Dardé (UCL/Berkeley), Peter Schaber (Zürich). 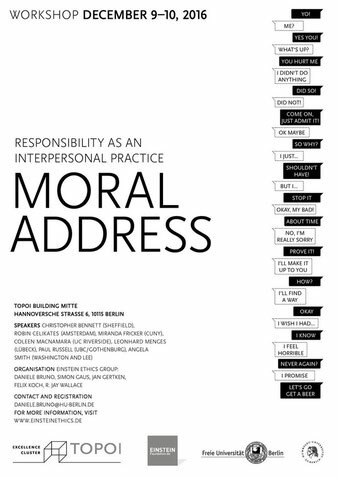 The general theme of this workshop is the idea of moral responsibility as an interpersonal practice through which moral claims or demands are addressed by participants toward each other. We are interested what it is to address demands to someone, as well as related forms of interpersonal exchange about moral wrongs, such as blame, the voicing of complaint, forgiveness, and atonement. Invited participants: Ulrike Heuer, Daniel Markovits, Erasmus Mayr, David Owens, Herlinde Pauer-Studer, and Arthur Ripstein.